Former head of the Department of Victorian Communities Yehudi Blacher has been appointed to conduct a review into Victoria’s Office of Aboriginal Affairs. The review will commence immediately and take up to three months, forming part of the government’s plan to improve standard of living and maintenance of culture. The Office of Aboriginal Affairs Victoria, which now sits within the Department of Premier and Cabinet, is tasked with providing advice to the government on Aboriginal policy as well as planning and supporting the delivery of key programs and commitments on job opportunities, tourism and land management and leadership and community representation. Blacher led the establishment of the former Department of Victorian Communities (later the Department of Planning and Community Development) and was secretary for more than nine years. During that time the Aboriginal Affairs portfolio was part of the department. “We’re now reviewing the Office of Aboriginal Affairs to ensure we’re best placed to deliver on that. “With his extensive experience and knowledge, Mr Blacher, together with the Aboriginal community, will make sure we get the right framework in place to achieve results. Hutchins said the government’s annual Aboriginal Affairs Report, which would normally have been published in the first half of the year, is now expected to be released later this year to ensure it takes into account the outcome of the review, budget investment and community feedback. The annual Aboriginal Affairs report, which originated in the Bracks government, is not a typical agency annual report, focusing as much on indicators of community wellbeing as much as the work of the agency producing it. 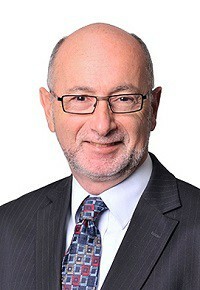 Former DPC secretary Andrew Tongue, who was also chaired the secretaries’ leadership group on Aboriginal affairs, explained last year that moving the OAAV into the central agency was helping to “cut through silos” and enabled the Aboriginal affairs reform agenda of the previous Coalition government to be progressed as a priority for whole-of-government action.